The latest rumors today is that PSG wants Cristiano Ronaldo and are ready to offer him a guge salary if he decides to join PSG. Cristiano Ronaldo is making headlines in both Madrid and France today. According to the French newspaper l’Equipe PSG is still in the hunt for Cristiano Ronaldo’s signature. According to the newspaper the French champions Paris Saint-Germain has now offered Ronaldo a lucrative contract to lure him to Paris. The contract shall according to l’Equipe give him an annual salary of huge 15 million Euro net. PSG are also ready to pay Real Madrid 86 million Euro and Real Madrid are said to be ready to negotiate a deal. Such a salary would give Cristiano Ronaldo almost exactly twice as much in earnings as Zlatan Ibrahimovic, who according to Le Parisien is earning 7.7 million Euro a year in PSG. The news are also currently circulating in Spain, where the Madrid-based newspaper AS has Cristiano Ronaldo on the front page. Even here the confirmed transfer sum is said to be 86 million Euro and according to AS PSG are ready to let their manager Carlo Ancelotti go to Real Madrid if they in turn agrees to let Cristiano Ronaldo go. Ronaldo has two years left on the contract with Real Madrid and late in April the club’s president said that Real Madrid would extend his contract. 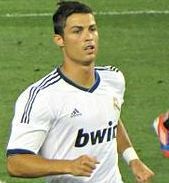 But according to AS, Ronaldo has not been particularly keen to extend with the club. This year, Cristiano Ronaldo scored 34 league goals in as many matches and the Champions League, he has managed to score a total of 12 goals. Closest to this amount of goals is Borussia Dortmunds Robert Lewandowski who has scored 10 goals so far. This entry was posted in Rumors and tagged Carlo Ancelotti, Cristiano Ronaldo, PSG signing, PSG transfer, Real Madrid, Ronaldo on May 16, 2013 by Johan Bengtsson.